The Woodchurch Ancestry Group (WAG) and Woodchurch Village Life Museum have this year got together to produce a unique, limited-edition Christmas card. 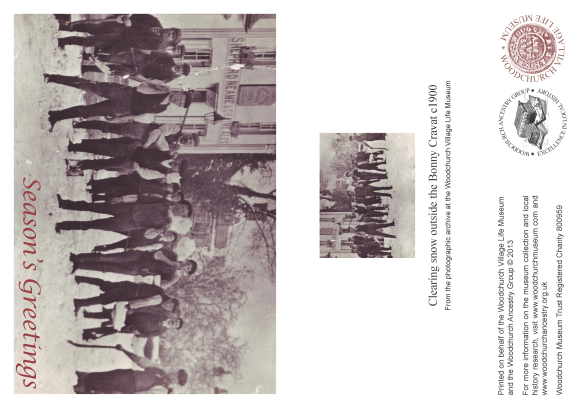 The design on the front of the A6 landscape-format card is of a group of Woodchurch men clearing a large fall of snow from outside the Bonny Cravat inn and is dated around 1900-1905. The rear of the card has information about the WAG and the museum. Available in packs of 10 cards with envelopes. Proceeds from the sale will go to support the two organisations. 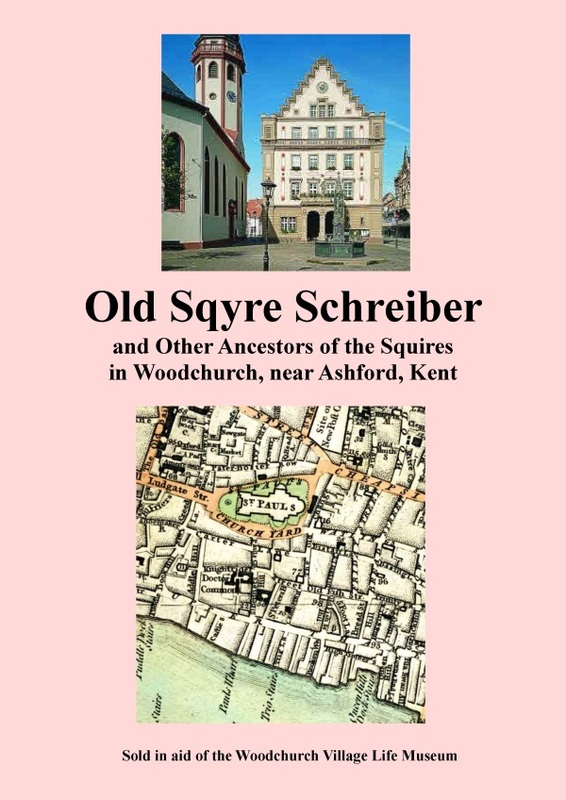 Please make out your cheque (in sterling and drawn on a UK bank) to Woodchurch Ancestry Group and send your order to 8 Firtree Close, Rough Common, CANTERBURY, Kent CT2 9DB. You can also buy our Christmas cards securely using your debit or credit card via PayPal. Simply select your delivery location then click on the Buy Now button.